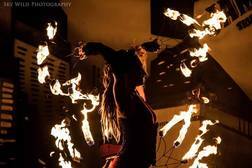 cOMmon Grounds Festival is excited to bring urban entertainment from Dragons Fire theater. Look for a more than 20 foot tripod showcasing professional aerial and acrobatic performers. 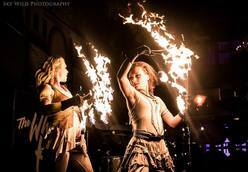 A show from Justice of Dragons and his Dragon Girls wouldn't be complete without a little fire. 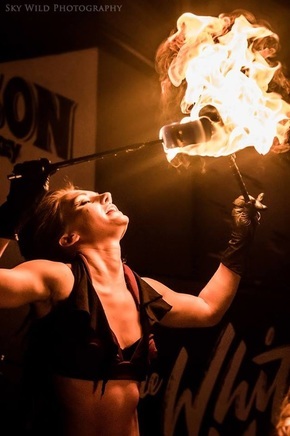 Dragons Fire Theater (DFT) brings together some of the most talented performers in the Twin Cities to create the most amazing performances in the Midwest. Insured, Professional, Safe and Skilled Multi-Genre Dancers, Glow/LED/Fire Performers, Aerial Artists, Acrobats, Pole Performers, GoGo Dancers, Promotional Models, Stilt Walkers, Costumed Characters, Belly Dancers, Break Dancers, Burlesque Performers, Percussionists, Dj's, and more. 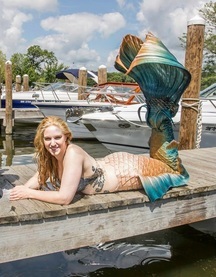 Meet and Greets, Roving Entertainment, Feature Shows, Weddings, Private Parties, Modeling, Festivals, Fashion Shows, Expos, Corporate Functions, Clubs and Charities. 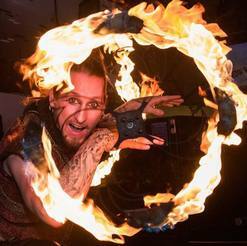 ​Aerial stuntman, fire performer, and didgeridoo player—certainly not positions you’d expect to find on a résumé. But for Justice of Dragons and several of America’s founding fathers, these activities are just another day at work. 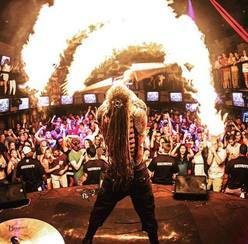 The multi-talented international performance artist has entertained crowds for over a decade at clubs, resorts, concert halls, and stadiums throughout the world. He draws on these experiences to infuse his classes at the aptly named Dragon Power Fitness with a sense of flair. Students can enroll in aerial arts and fire performance, as well as yoga and meditation.